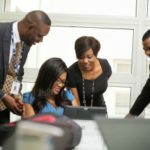 Latest Job opportunity at Citibank Nigeria Limited for IT Business Analyst that will always be punctual to work. 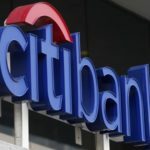 Any Candidate that is Interested in this Employment Opportunity will have to Apply for a Job online through Citibank Nigeria Limited official Job Recruitment website. Applicants should also go through this post very well in order to be sure that they met the Job requirements before Applying for this Job. This position is overlooking and driving TTS application portfolio in Nigeria. The core responsibilities are to manage TTS application portfolio, understand each application’s functionality, infrastructure, development process, its purpose, costs and environment it serves and finally to manage related vendors. Work very closely with Business partners and ensure the enhancement request are in line with the bank strategy. Citi’s Treasury and Trade Solutions (TTS) is a leading provider of cash management, treasury, trade, clearing, depositary receipts. With a global network spanning more than 100 countries, TTS has a global platform that is unique in the industry for its reach, interoperability and flexibility. We provide clients with timely, accurate information and dynamic, web-based tools to effectively manage their portfolios, financial positions, working capital and supply chains. Payments and Receivables is part of Treasury and Trade Services business within TTS that helps Citi customers manage their payments on a global basis by providing payments services with in EMEA. TTS offers innovative, fully automated end to end solutions that help our customers in make and receiving payments in EMEA. Oversight and management of applications changes including: Full management and accountability for maintenance projects (Technical Project Management), Participation in other project as subject matter experts (SME). Manages external vendors providing SW development. Keeping current, complete and accurate application information in relevant inventories like (but not limited to) CSI, CIRAS, COBTRAC. Improves process efficiencies in support of unit objectives; recommends new work procedures. Ensures resource gaps are addressed as a priority to avoid business service disruption. Supports quality and control function; performs risk assessments, tests and evaluates process procedure changes to ensure quality. Applies basic understanding of how own area integrates within business analysis. Makes evaluative judgments to solve problems based on analysis of factual information; resolves problems by identifying and selecting solutions through the application of acquired technical experience and guided by precedents. Partner with TTS Operations and Product teams to align the right combination of project priority and implementation strategy to offer the best solution with the quickest time to market. Apply on or Before: Not Specified.